The Titleist ProV1® and ProV1x golf balls account for more wins on the worldwide tours than all other golf balls combined. While longer for most accomplished players, the Titleist Pro V1x golf ball is most suited for high speed, high spin players. 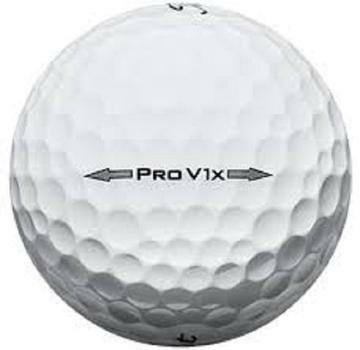 The Pro V1x golf ball delivers Tour-proven performance with longer distance via slightly lower spin off of the driver, as well as lower spin on full iron and wedge shots for improved greenside control.